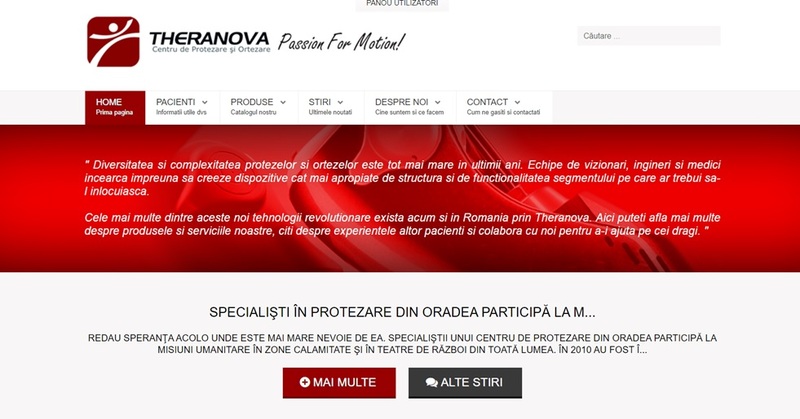 Theranova is a prosthetic center headquartered in Oradea, with branches in Cluj-Napoca and Bucharest. Patients from all around the country come here to regain their mobility and restore their previous lifestyle, after they’ve suffered accidents or diseases which caused limb loss. Theranova stands out through its high patient concern and through building long-term relationships with them. Many providers of prosthetic services take advantage of the patients, whom are largely uninformed, approaching families in moments of hardship, immediately after one of their relatives suffered an amputation. Often, the patients are persuaded to purchase expensive, uncomfortable and, to a certain extent, useless prosthetic devices. Theranova has never employed such practices, yet, without a well-defined identity, it was difficult for them to communicate their values to their leads. At the same time, medical tourism is a widespread trend all across Romania, as many people believe that only Western Europe can provide them with top quality medical services, to successfully meet their needs. Even if almost all of Theranova’s patients are highly pleased with the services and the prosthetic devices received, word of mouth simply wasn’t enough in this niched field. 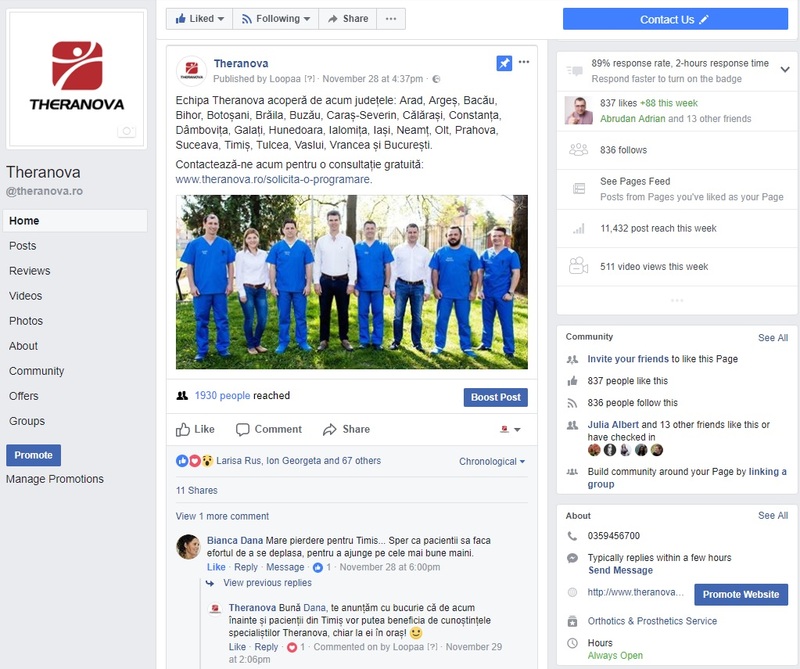 Considering all the above mentioned aspects, Theranova contacted us in order to help them rebrand themselves, to identify their unique positioning and to establish and communicate their strong points and values. They needed assistance in finding their voice and in transmitting who they are, why are they different and why should anyone trust them. We started with a rigorous analysis of the market, identifying the target profile, the influencers and the macro environmental factors which could affect Theranova’s activity. Also, we studied each competitor’s communication methods and style, the type and frequency of their campaigns and the channels used in their communication strategy. Based of what we’ve discovered, we established the brand’s positioning and set up the communication style, combining the emotional approach with the rational one. 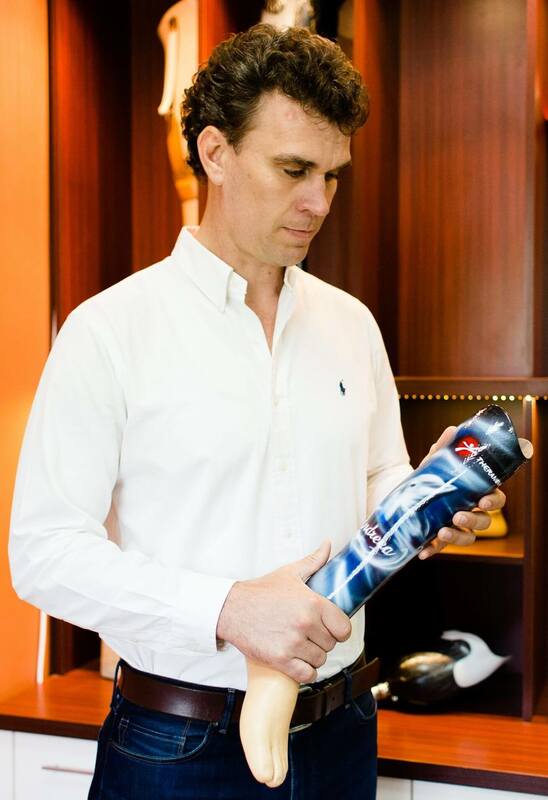 Theranova treats each person as a friend, supplying prosthetics and orthotics according to their individual needs. To sustain the new communication and positioning, we had to update all the visual materials. We updating the existing logo, in order to meet the current standards in logo design and to better emphasize the desired message. We also changed the tagline from “Passion for Motion!” to “Inspired by Every Step”. The new tagline reflects better the brand’s positioning, as Theranova is a partner for every patient and each product is carefully designed according to the anatomy of each patient, so that it can completely fit his needs. The old website offered a poor user experience due to a tangled structure, even though the information included was actually very useful. We’ve redesigned it, establishing new colours which are fitting better the brand’s identity. We also created new content, in accordance with the new positioning and we reorganised the already existing info, to make it more accessible for the audience and to better sustain the newly set brand positioning. We reconfigured the brand’s communication style, to make it less corporate and more personal, in order to emphasize the main values of the company. One of the Theranova’s strong points is the dedication shown by each member of the team, as all of them are doing everything in their power to help their patients overcome all obstacles and regain their confidence. We put forward the stories of the patients and highlighted the fact that limb prostheses cannot be sold via the internet like any other common goods. They are in fact personalized extensions of each human body who wears them. Furthermore, we made a video presentation of Theranova, in which we introduced all the values that define the brand. Along with the visual modifications, we’ve built a strong community around the brand on Social Media, where people interact daily with the centre, share their stories and their needs and offer valuable feedback. 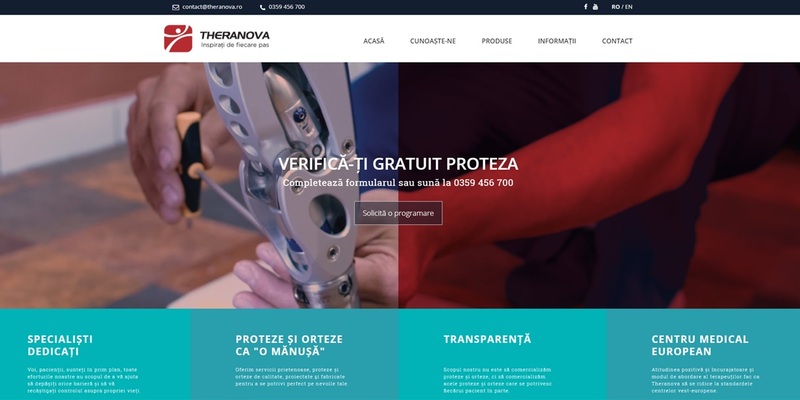 Theranova is known as a prosthetic provider from Romania with strong respect for each patient, offering services which meet the West European standards, rendering medical tourism unnecessary. The communication methods sustain the enounced positioning and follow the branding strategy, fact which distinguishes Theranova from others prosthetic providers.